BLUE SWIRL ART GLASS VASE home decor, jewelry, decor, decorations, electronics, fountains, floor mats, art glass, vases, garden essentials, fireplace screens. A wave of style is about to wash over your decor! 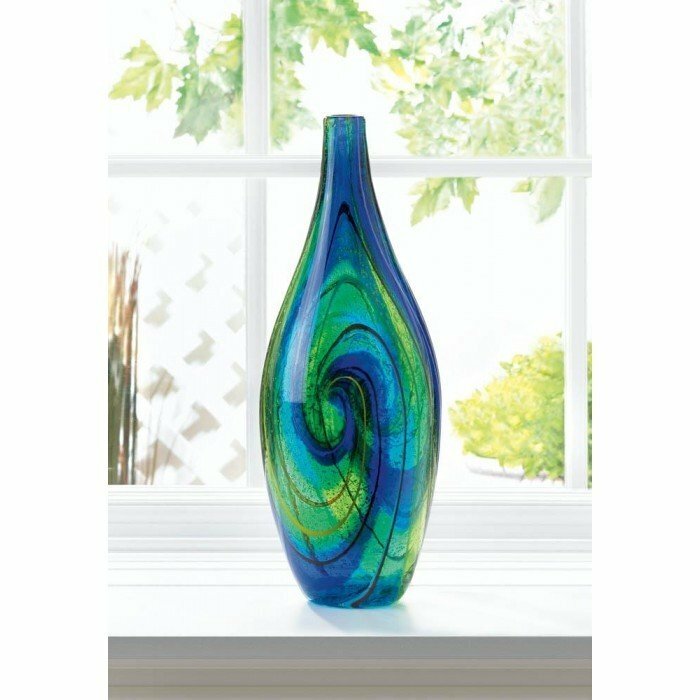 This gorgeous blue and green art class vase features a wavy swirl design that's reminiscent of an ocean wave curling toward shore. Its dramatic design features a narrow neck and opening. Weight 8.4 pounds. Weight 8.4 pounds. Dimensions 5.5" x 5.5" x 15.5".